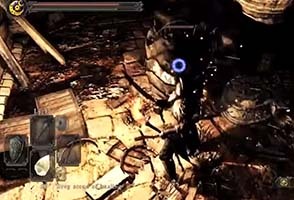 Perhaps I just have a bias against parallel dimensions (as evidenced from my interpretation of Silent Hill's otherworld), but I want to take some time to clear up what might be a mis-conception in the conventional wisdom interpretation behind Dark Souls' multiplayer summoning mechanics. 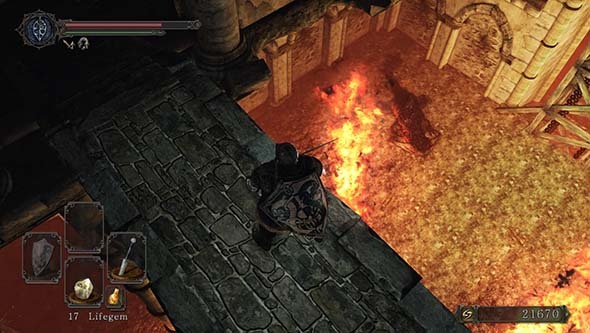 Dark Souls co-op is not necessarily based on parallel dimensions, as many players seem to assume. It might, in fact, be intended to be an abstraction of some kind of time travel. 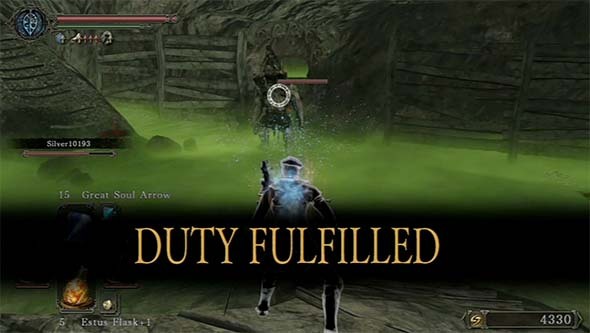 I've noticed that many players online already seem to refer to the multiplayer mechanic of these games in terms of time travel, but I've yet to see any wikis, lore videos, or blogs that seem to explain multiplayer as a time travel mechanic. 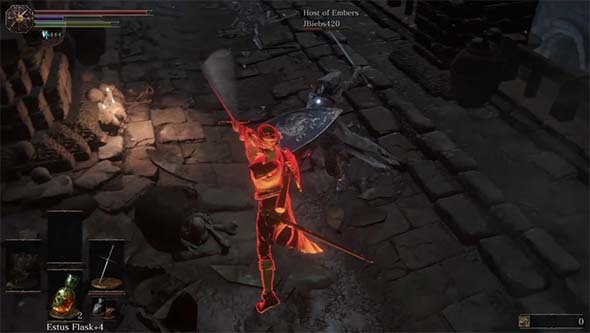 I want to preface this analysis by stating that I'm not asserting that the following explanation is the absolute, 100% correct interpretation of the mechanic. Individual players may disagree based on their own reading of the game, and I'm personally somewhat conflicted on the topic myself. I merely want to propose this as a possible alternative to the defacto "parallel worlds" interpretation. 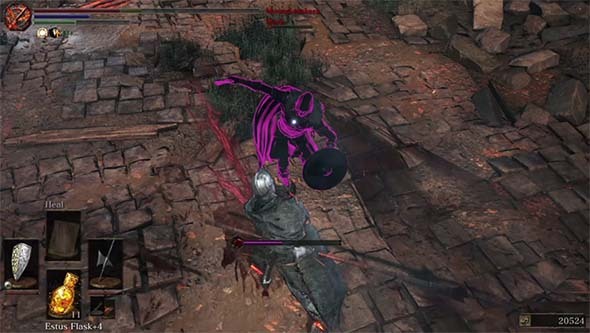 I'm going to point out in-game evidence that supports the idea that Dark Souls' multiplayer is based on time travel, but there is also in-game evidence and mechanical evidence that flat-out contradicts that interpretation. I will address those contradictions as well. So that being said, please keep an open mind, and enjoy the read! 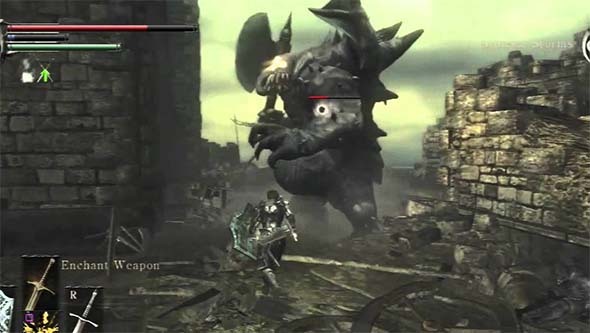 There are two games in the series that are not part of the Dark Souls franchise, and which have different in-game explanations and rules for the same multiplayer features (more or less). 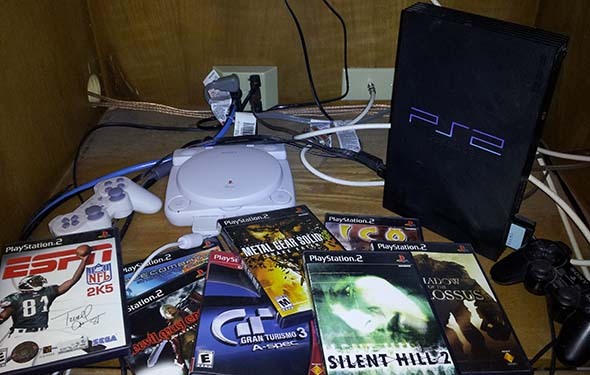 Those games are, of course, Demon's Souls and Bloodborne. 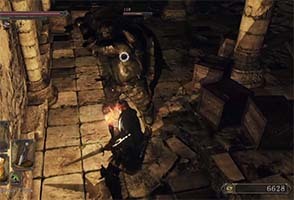 Both have asynchronous multiplayer and summoning mechanics that work similarly to Dark Souls. "We are amidst strange beings, in a strange land. The flow of time itself is convoluted; with heroes centuries old phasing in and out. 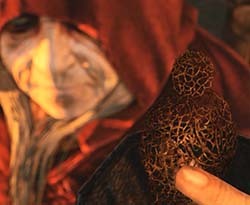 But, use this, to summon one another as spirits, cross the gaps between worlds, and engage in jolly co-operation!" 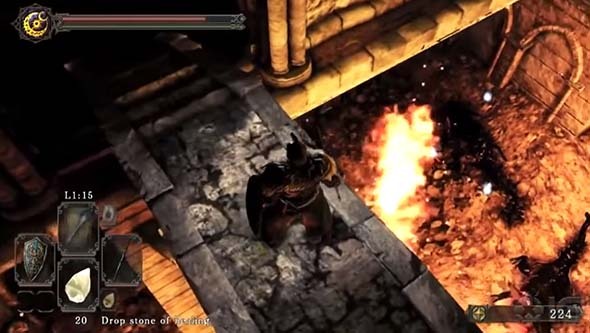 Both Solaire's dialogue, and the White Sign Soapstone (along with other online play items) make references to other "worlds", which leads to many jumping to the conclusion that each player's game is a sort of parallel universe within the Dark Souls lore. However, this may not necessarily be correct. 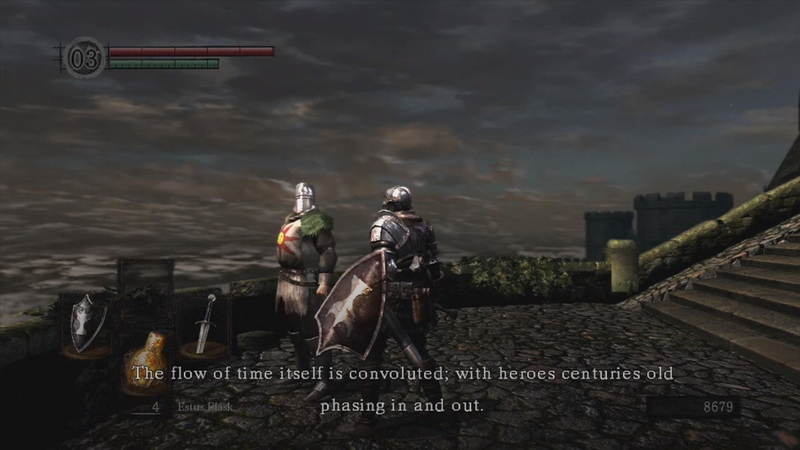 Both Solaire's dialogue and the soapstone also provide explanations for these worlds: "time is convoluted | distorted". 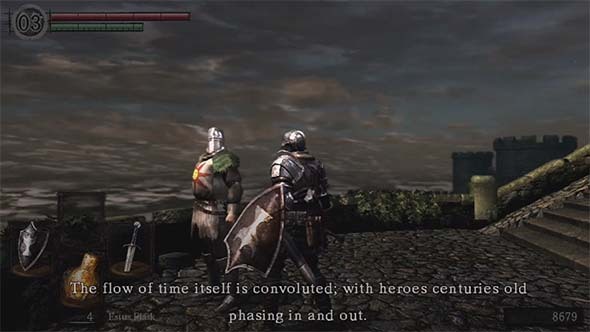 This seems to be the explanation for what is meant by "worlds", and it seems that Solaire and the in-game descriptions may be using "time" and "world" interchangeably (could it be a translation / localization issue?). The phrasing in the white soapstone's description joins "the flow of time is distorted", and "the White Soapstone allows undead to assist one another", into a single, compound sentence, which definitely implies that the two phrases (and ideas) are linked. "Online play item. Leave summon sign. 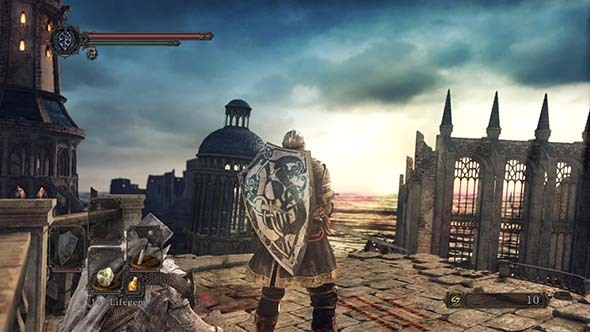 In Lordran, the flow of time is distorted, and the White Sign Soapstone allows Undead to assist one another"